K100-forum.com » Off Topic » Humor » Easter Bunny caught speeding! 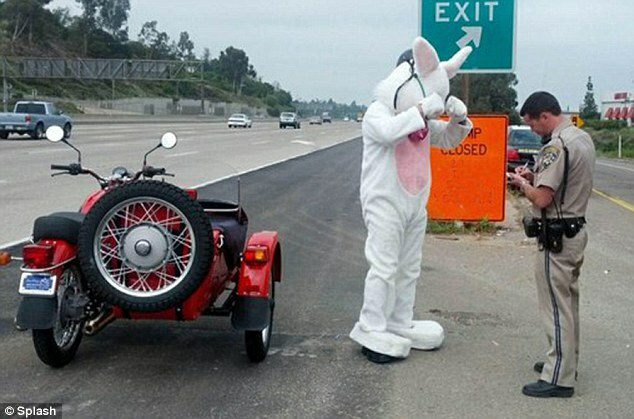 Hurriedly on his way to an ancient Pagan ritual on an equally ancient Ural with chair, this California Highway patrol occifer saw no humour in the EB's excuses; non-DOT shorty helmets aren't approved as full-coverage Easter eggs. That's what he gets for riding a BMW copy and not the orginal Now he'll have to hop down the Court House to pay the fine. I still have both Woodstock records in my collection. Though the first is the better of the two. Yep, I've got both as well. I also have the CD set, which is not as good. I have the orginal Jefferson Airplane LP, Voluteers. 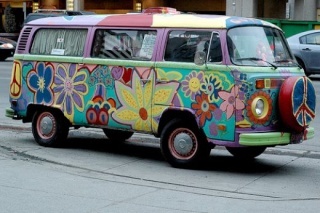 Old Hippies never die, we just smell that way. @larrikin wrote: Yep, I've got both as well. I also have the CD set, which is not as good. Is still have my original LPs from the 70s. They traveled in my luggage when I came to Canada. @Two Wheels Better wrote: I still have both Woodstock records in my collection. Though the first is the better of the two. I have over 400 Lp's from around that time. Note to self "Get a turn table so you can play them again and annoy the wife"
» Cape Cod in a Nor'easter?